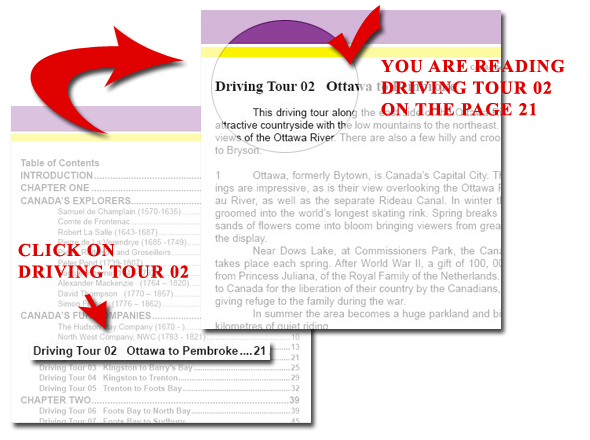 The Stoness Travel Guides are real books, but on CDs instead of paper. They are NOT movies on DVDs, and they are NOT audio disks. A double click on the PDF file and it opens with Adobe Reader. Near the front of the CD travel guide Canada: Beyond the Far Horizons you will see a two page map of all the tours in the book. 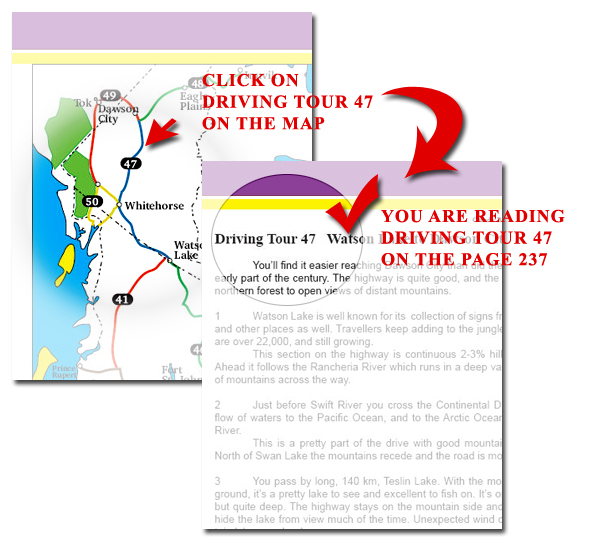 Click a highway tour number, and you are taken immediately there. If you read something in the Table of Contents that you want to see, click on it. Same thing for the Index. The CD crystal case insert shows you several shortcuts for moving around in Adobe Reader. REMEMBER: The advantages of a CD book are mind-boggling. You can enlarge the print for easy viewing, or rotate the maps, or print out the day’s journey in large easy to read print. And, you can quickly move from place to place using your mouse as shown above.